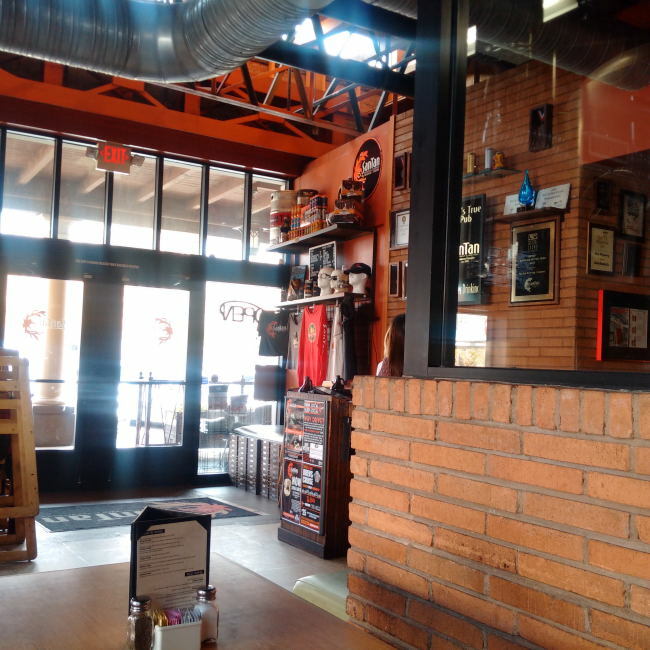 Located in Chandler (Greater Phoenix) Arizona you will find SanTan Brewing Company a great little brewpub. 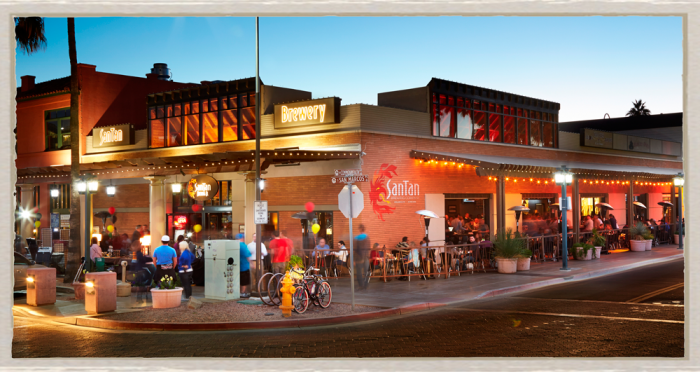 Photo from SanTan Brewing Website. Walking in the door you will find the reception desk where they have a bunch of swag for sale. After that you will find yourself in a long rectangular room with lots of tables and a nice long bar. Everywhere you look you will see brewing equipment from the brewhouse which is located near the entrance to the pub to a wall of glass on the far side with tanks everywhere as well as some packaging equipment. Side note they now have a production brewery that makes most of the beer that you will find in stores. They have some really good food on offer so come in with an apatite. The brewery does fill growlers which is awesome but they also fill crowlers called Canzilla at SanTan Brewing. These are 1L or 320z cans that are filled onsite fresh and sealed right in front of you. The brewery does scheduled brewery tours but they were not doing tours when I was there for lunch. Luckily for me I popped my head into the brewery and talked to the brewing staff and they were happy to give a Canadian blogger a tour. Starting out I got a tour of the brewhouse itself. Once finished in the brewhouse itself we headed back into the brewpub so we could head to the far side of the pub to the tank farm. They still do some packaging here but not very much. If you find yourself in Chandler make sure to check out this Pub as it has great beer and great food! This entry was posted in Brewery and tagged arizona, beer, brewery, brewpub, canzilla, chandler, craft beer, santan brewing.